Unbeatable in both flavour and health benefits, especially as it's paired with olive oil. This mackerel is hand-packed in olive oil to help the fish retain its moist tenderness. Both the fish and the oil impart their subtle flavours on one another, so don't discard the oil! The oil also improves the mackerel's nutritional content, which is a great source of omega 3, healthy and unsaturated fats and vitamin B12 - ideal for your brain and skin. 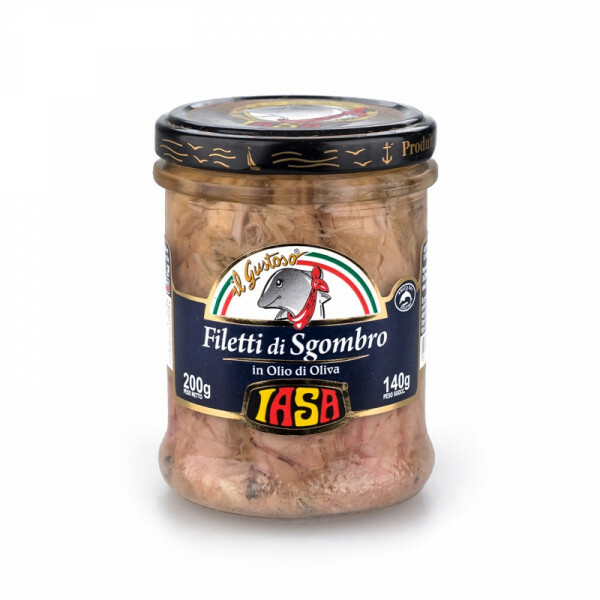 Unbeatable in flavour texture and health benefits, they can be eaten hot or cold topped on a crostini or cooked with pasta. 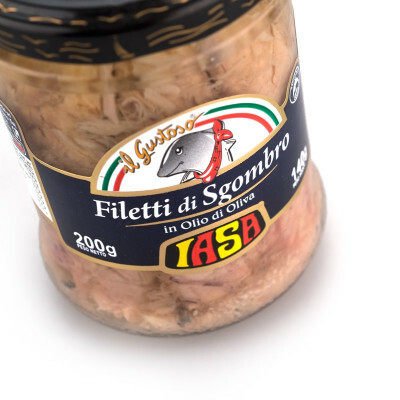 Mackerel pairs especially well in pasta with other Sicilian ingredients, for example Pasta alla chitarra with mackerel ragù, capers, tomatoes and black olives, or use them to make a variation of trademark Sicilian dish Pasta con le Sarde. Mackerel, olive oil, salt. FISH.